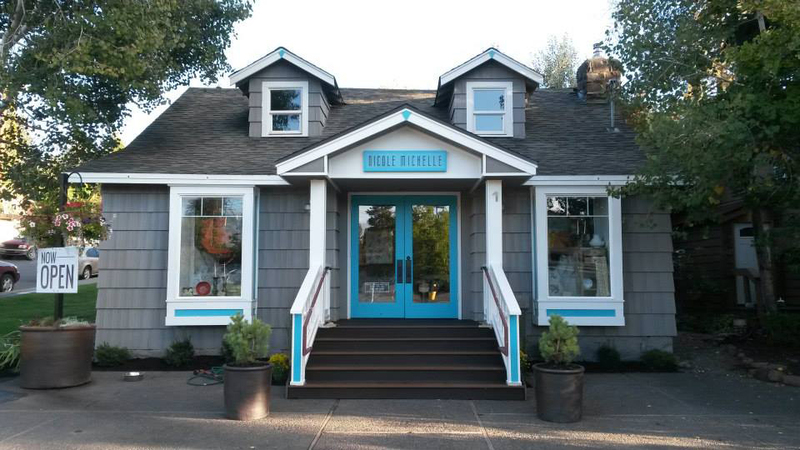 Founded in 2014 by husband-and-wife team Nicole and Andrew Hunzicker, Nicole Michelle is Bend’s boutique and showroom for luxurious linens and unique housewares meant to instill beauty and purpose in your home. Born out of Nicole’s desire to experience the sensual feeling of the weight of the fabric, and evaluate the quality, textures, and colors in person- rather than online- the shop houses carefully curated pieces you won’t find anywhere else in Bend. Nicole Michelle provides complimentary house calls with an interior designer on staff to help you make decisions with confidence on everything from the perfect bed ensemble to the right fabric color when held against your wall color, upholstery, and lighting. With a commitment to sustainable and heirloom quality linens, timeless table pieces, and wares made with eco-friendly materials that support fair trade job opportunities for small farmers, weavers, artists, and skilled craftsmen, Nicole Michelle carries small batch lines that reflect the social and environmental responsibility at the core of the founders’ values. Thoughtfully designed and decorated to showcase a variety of aesthetic arrangements, their store on Knoll Ave across from Village Baker, exudes comfort, elegance, and ease.